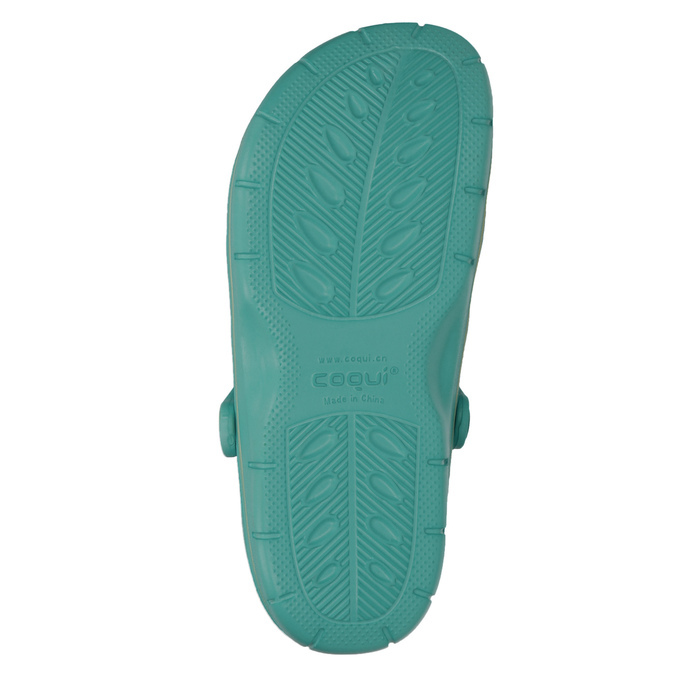 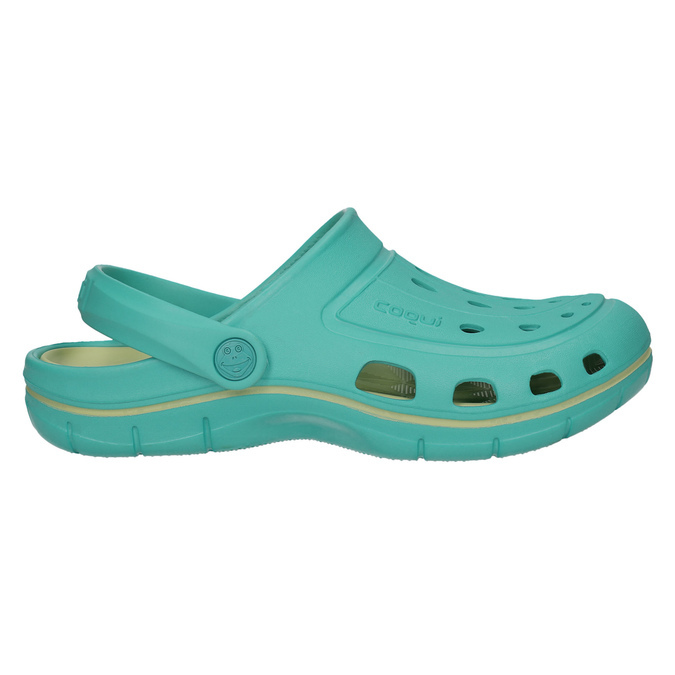 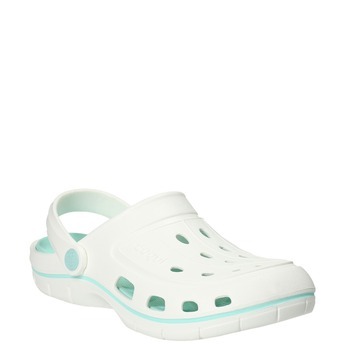 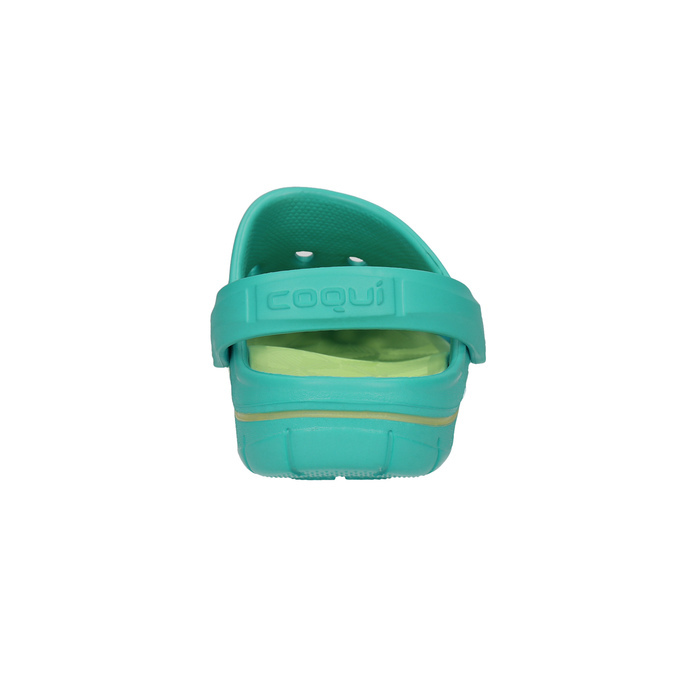 These Coqui ladies’ turquoise sandals have a contrasting green insole, which can be taken out of the shoe. 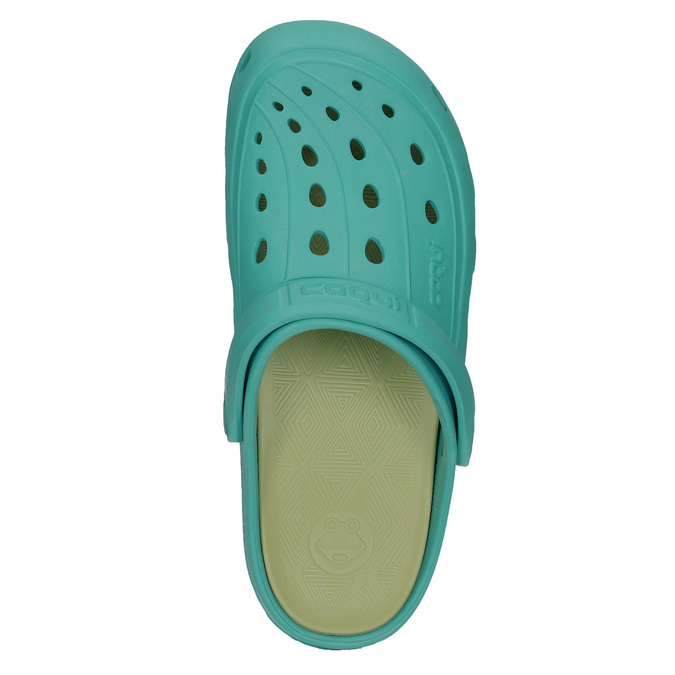 The holes make these sandals nice and breathable and they’re easy to wash in water. 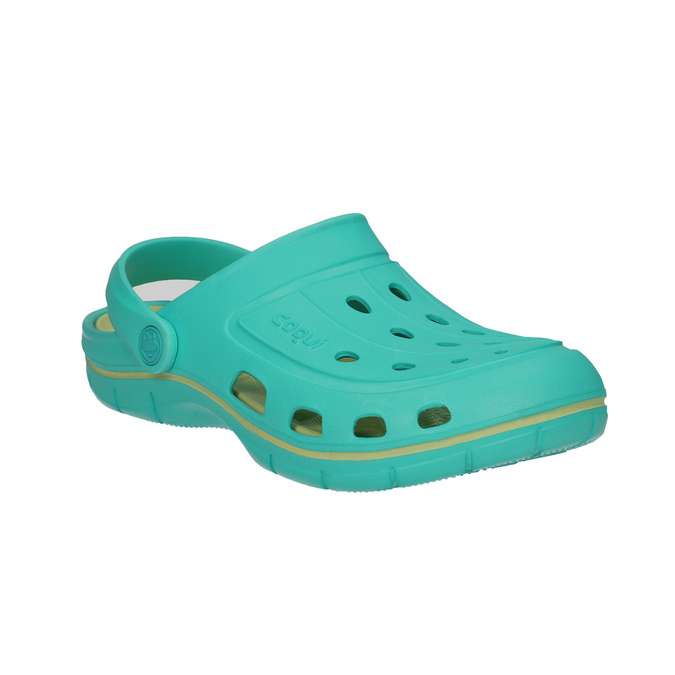 Ideal footwear for chilling out at home, in the garden or by the pool.